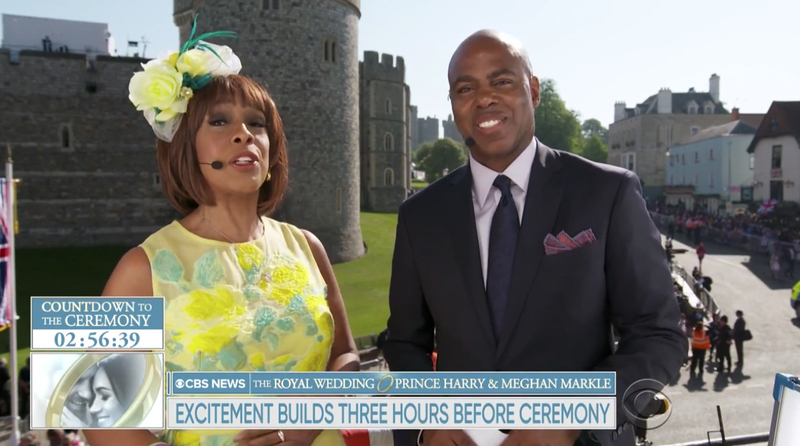 Networks around the world rolled out all the stops for coverage of the royal wedding of Prince Harry and Meghan Markle Saturday, May 19, 2018. 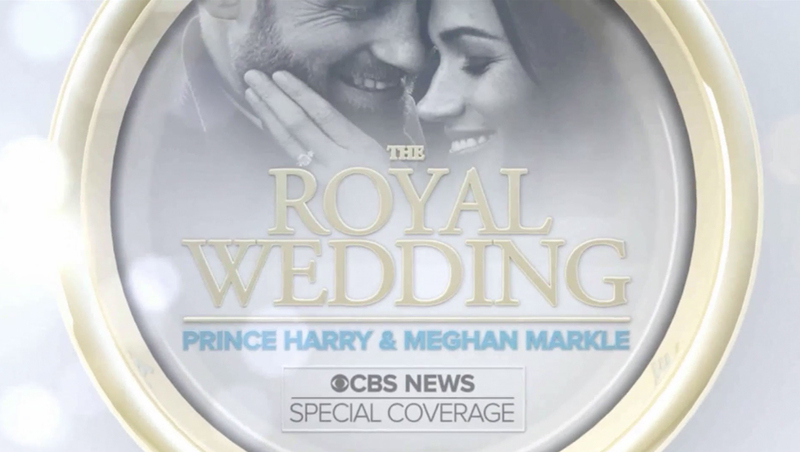 The network used the same pale blue and gold ring motif that it used leading up to the big day. 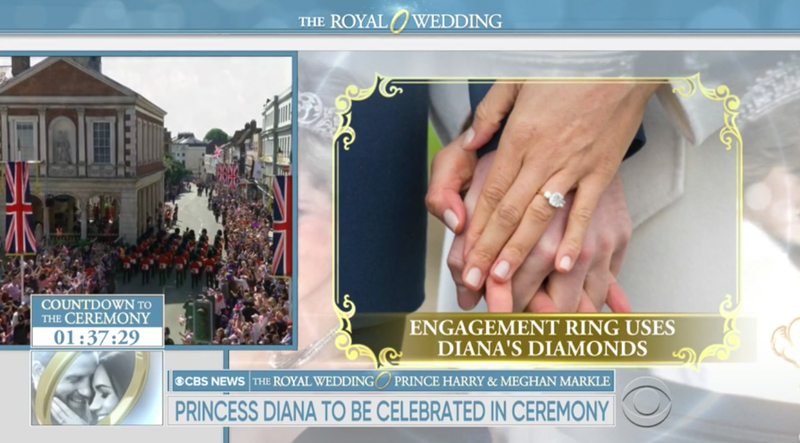 The graphics followed CBS’s boxy look — though it did not use the angled look “CBS This Morning” uses. 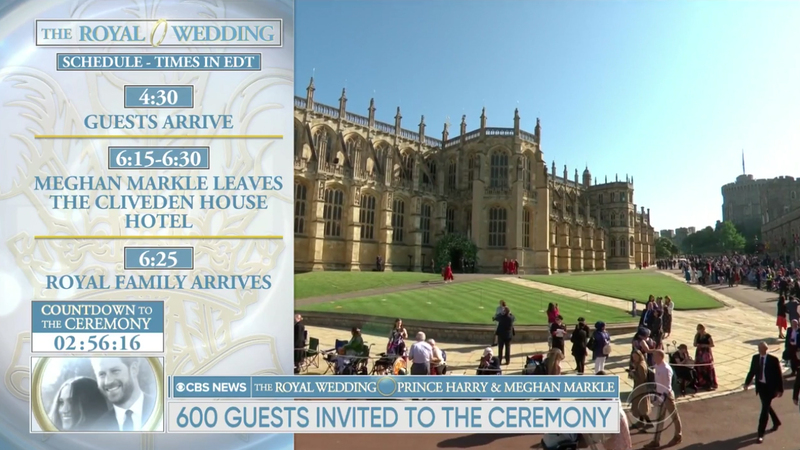 In the lower left of the screen was a “Countdown to the Ceremony” until the wedding officially began, while a large, rectangular bug features an rendition of the animated ring that, as it rotated, was used to transition between stylized style photos of Harry and Markle. 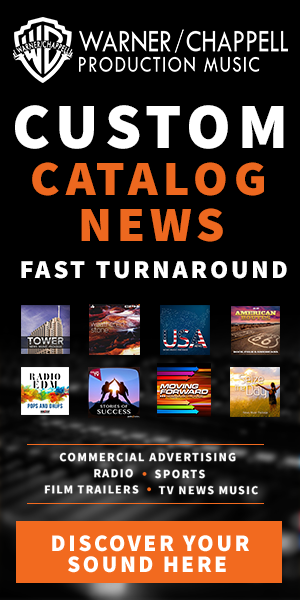 The same color scheme was used for sidebar-style rundown graphics, though an intricate gold icon as a background. A similar gold scrollwork look was used in split screen graphics.